The entire team at SCR is excited to announce the launch of our brand-new website! 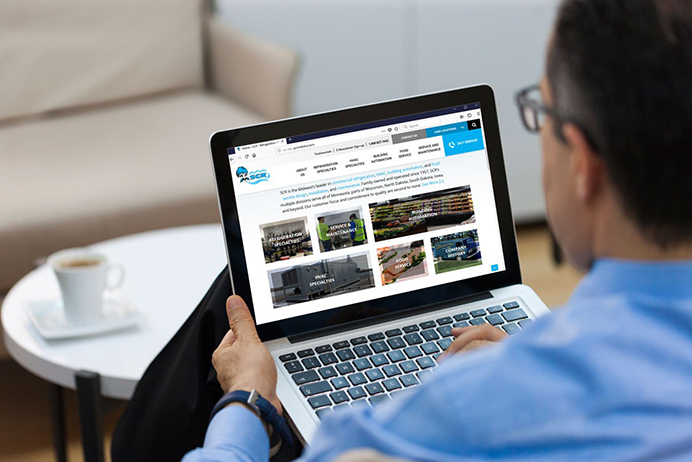 We’ve put together a resource that’s informative and easy to navigate with eye-catching images showcasing our wide range of capabilities: commercial refrigeration, HVAC, building automation, food service equipment, and service and maintenance. Explore the history of SCR, which ties back to World War II. Get to know our highly-skilled and versatile team of technicians, journeymen, and installers. Our customers can trust the dedicated, longtime employees who take great pride in their work. Learn about our career opportunities and scholarships for students enrolled in HVAC or refrigeration programs. The new SCR blog will provide news and updates as well as in-depth features about our services and programs. We’ll share research findings, information, and tips on relevant topics. Visit our blog often to stay up to date. We value your opinion! Let us know what you think about our new website or get in touch with questions about any of our services. Contact us today! Receive periodic news and updates from SCR and sign up for our e-newsletter today! SCR is the Midwest’s leader in commercial refrigeration, HVAC, building automation, and food service design, installation, and maintenance. Family-owned and operated since 1957, our customer focus and commitment to quality are second to none. Copyright © 2019 SCR, Inc. All Rights Reserved.